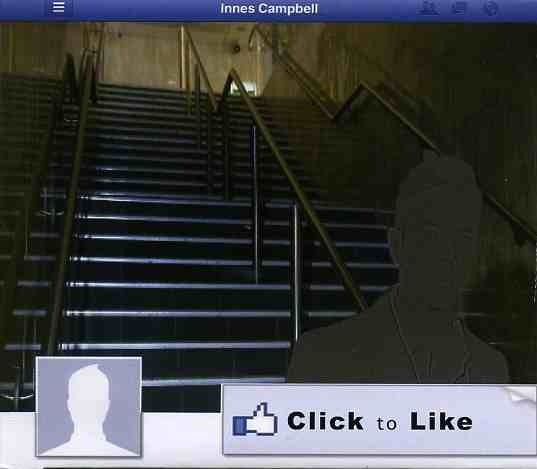 Don’t be fooled by the tacky appearance of Innes Campbell’s latest album. Click To Like offers a wide range of musical styles. From rich acoustic textures found in Lost and Found and Two’s Company, to the high-energy ska-grassy punk of Oh Jimmy. Innes’ vocals really shine on the more folky material such as Phantom Power and Only This. Innes’ voice has a real innocent and lyrical quality, despite his habit of throwing in the odd controversial lyric. Brown kicks off sounding like Bill Monroe has been resurrected from the dead, but then we are given an insight into Innes’ wonderfully curious mind. Innes clearly has strong roots in bluegrass but is not afraid of traditionalists and the use of modern effects. Cruel Freak is probably the bravest and most enjoyable example of this. Above the Law is another intriguing experiment combining skilful mandolin playing with creative electronic samples. It was so fascinating I had to go back and have another listen. The last two offerings almost summarise the album. Pig Dog Man is a roaring, percussive bluegrass track, whereas Nothing Left To Say, with its electronic and pop elements, is a step into outer space by comparison. Buy this album if you are curious to hear a talented individual perform an exquisite exploration of the boundaries of acoustic music. I was tempted to open a second Facebook account so I can ‘click to like’ it twice. 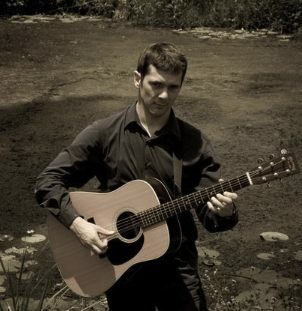 For those who aren’t familiar with the name, Innes is a Scot in our midst whom I believe to be one of the foremost acoustic guitarists in Australia. He has been National Bluegrass Flatpicking Champion, but his lines contain nuances that reach beyond the confines of that genre. His skill as a mandolinist and slide Dobro player are also on ample display here. Innes is keeping his own company these days. He plays every instrument on this CD, as well as investing considerable time and effort into building an electronic soundscape for most of the songs. It’s an interesting and sometimes challenging experiment, and I feel that this is the first step in a journey that will reap rewards for the traveller who goes the distance. Words like fascinating, compelling and diverse spring to mind. The tracks move from straight bluegrass with some sampled backing through moving and quite beautiful melodic and intimate songs to some electronica pieces that would not be out-of-place in a dance club. I’m not an expert on what is done in a studio with computers these days so I won’t attempt to explain what’s going on here, but the effect is at times mesmerizing. The lyrics cover a wide range of topics and are not immediately accessible, but once digested they keep ticking over in your mind. When I woke up with the lyrics to Cruel Freak (a song about Julian Assange) in my head, I knew I was ready to write this review. Cruel Freak is a well constructed song with, for me, controversial words juxtaposed against some unsettling electronic vocal effects and lush backing. Oh Jimmy contains some fine playing in the bluegrass style, while the lyrics are again disquieting. The doleful atmosphere of Two’s Company – “Two’s Company, so come on over the hill with me” – about two baby boomers fading into the sunset together – is eased by the intimacy and sentiment of Only This, perhaps the only song of a personal nature on the album, featuring a fine vocal arrangement. Oh, and the short Lost and Found is a fine instrumental piece. For those who know Innes as the bluegrass virtuoso that he is, be aware that while that’s found all over this album, Innes’s muse has led him into fresh and innovative directions. I’m keen to hear the next instalment, but meanwhile I’m singing this in the shower. His debut solo album ‘Click to Like’ has every aspect of his curious musical personality woven through; it’s entirely self penned, played, sung and produced – right down to the cover artwork. Instrumentally Innes has combined Dobro, mandolin, banjo and guitar with vocal harmonies, rich acoustic textures and electronics that are more dub step than step dance… and into this strangely cohesive framework he spins lyrics that are comical, satirical and downright unsettling at times..until your minds eye spots the tongue placed firmly in his cheek. The album’s official unveiling is on Sunday August 18th at The Dowse Bar, Paddington, and Innes has invited some of his musical friends to share the afternoon with him – velvet-voiced songstress Angharad Drake will take the stage from 3-4pm, followed by local country band Deep Water Bend from 4-5. Innes, along with bass player and drummer will play from 5-6. The day before this, Saturday 17th August, Innes will play solo at Folk Old and New at The Danish Club, Newstead. Innes Campbell is working on his third full length studio project which has the working title “All Things Considered”. Innes’s previous albums have been reviewed here. Present Company Included was his first album while Something Quick and Neat was the followup. From our interview with Innes we understand that the pending album differs somewhat from his previous work. ‘Something Quick and Neat’ featured several of his own compositions along with some traditional offerings and was largely an acoustic album. This album had some programmed strings on it, but Innes explains that in the end, the mixing was so hard that this was completely buried and was basically inaudible in the master. ‘Something Quick and Neat’ relied heavily on collaborations with other musicians. George Jackson played fiddle and banjo, Luke Moller played fiddle and mandolin. Wendy Holman played banjo and Innes’s brother Rory made a vocal appearance on the track Scottish Rain, and Rick Caskey played bass for ‘Swine Flu Swing‘. 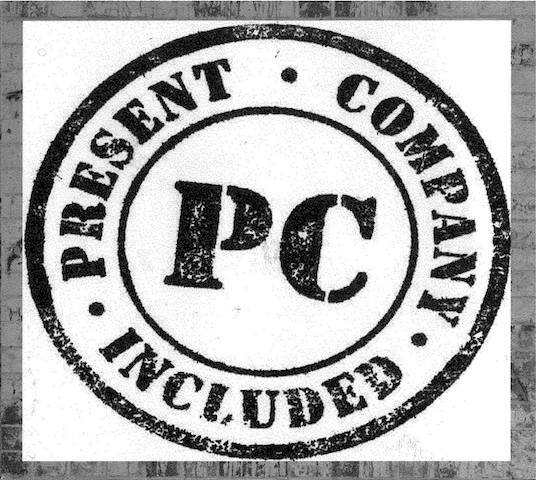 Innes’s second album ‘Included‘ was recorded with what was to become the full-time band ‘Present Company’. Innes brought four of his original works along with a cover (originally by Franz Ferdinand) that he had arranged for the album. George Jackson brought two tunes and Michael (Mick) Patrick also brought two tunes to that second project. The other tune on the album (Ride the Wild Turkey) was by Darol Anger. Innes says it was all performed live, with the odd overdub here and there but really recorded just as it was played, with very little studio effects, maybe just a little reverb if anything. In contrast, the new album is intended to be entirely his own work. Innes tells me he has been working hard on the Dobro and mandolin as well as his songwriting and vocals skills. Over the past twelve months I have learned an enormous amount about production. The result is that this album is sounding quite different from the last two albums. The hooks are still there – in fact more hooks than ever – but there are stripped back songs with just guitar and voice, songs with electronic elements, songs with (eek!) drums and there’s an instrumental that I composed on the Dobro. Lyrically its more accessible than the last two discs; so hopefully people will get an idea of what the hell I’m on about this time. There’s quite a bit of tongue in cheek satire as well as the usual self-deprecation. It’s turning out better than I could have imagined and is definitely the most exciting and inspiring thing I have done so far in my musical career. What I’m aiming for is the end product to be done entirely on my own – all of the tracks are my originals, all the instruments played by me, and I’m going to do the mixing, mastering and even the sleeve art. – Innes Campbell. I am looking forward to hearing the new work and especially looking forward to hearing him play mandolin and Dobro. Here is the latest update from the Dorrigo Folk and Bluegrass Festival scheduled for the end of this month. The festival has one of the biggest lineups even with components of international, national and local acts lined up to perform, teach and thoroughly entertain. Headlining to roster this month will be International band The New Worlds. Their name promises discovery expectation and the band has dug deep into the musical past of North America to bring us their versions of their country’s ageless music traditions. 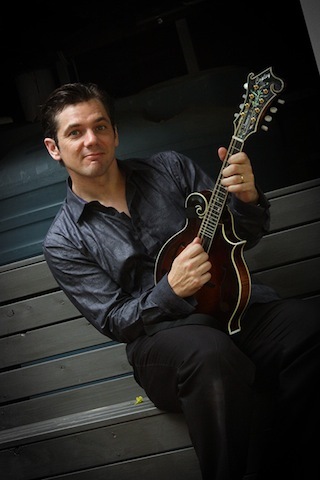 Dave Goldenberg, who is returning for his second tour of Australia, is a graduate of the Berklee School of Music in Boston, and is a past winner of the Rockygrass Mandolin contest and the Telluride Bluegrass Contest. 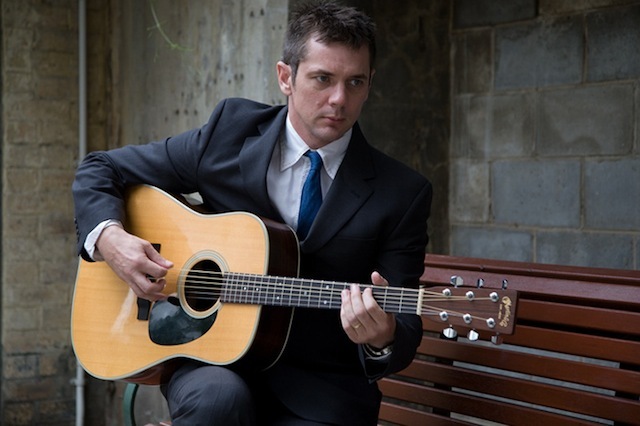 Christian Sedelmyer, originally from Erie, Pa, is most well-known for his years as a member of acoustic pop group The Farewell Drifters and is currently touring part-time with Australian Bluegrass sensation The Greencards. Shelby Means is a current member of Della Mae, an all-female bluegrass band signed to Rounder Records that was recently nominated for the International Bluegrass Music Association’s Best Emerging Artist award. Rachel Baiman, a two-time Illinois State Fiddle Champion, is a graduate of Vanderbilt University with degrees in Music and Anthropology. She is a founding member of acoustic quartet Belfry Fellows as well as 10 String Symphony, Christian and Rachel’s duo fiddle/voice project. Also from the USA is one of regular visitors to Australia, The Whitetop Mountaineers. Martha Spencer and Jackson Cunningham live in Whitetop, Virginia USA, at the highest mountains in Virginia. Their shows feature old-time country duet singing, up-tempo old-time fiddle, clawhammer banjo, bluegrass mandolin and guitar instrumentals as well as high energy Appalachian dancing. Jackson and Martha have played concerts, major festivals, workshops, and dances throughout the United States, UK, Ireland and Australia. Ross Nickerson will also feature in this year’s festival and Ross is no stranger to Australia having been a regular instructor at the annual Australian Banjo Conference and running workshops and concert appearances across Australia. Ross is the author of the top-selling banjo book, The Banjo Encyclopedia “Bluegrass Banjo from A to Z” He has also written and recorded many other books, CDs and DVDs designed to help banjo students save time and learn the fun of playing 5-string banjo easier. Ross is a full-time musician and on the road ten to fifteen days a month performing concerts, teaching banjo workshops and reaching new audiences. He has been selected as a faculty member for many prestigious bluegrass and banjo camps and is the founder and coordinator of the Nova Scotia Banjo Camp and the annual BanjoTeacher.com Banjo Cruise. Next up is a band that is gaining momentum in Australia with their highly polished brand of bluegrass, Mustered Courage. Two long-term friends have worked to blend modern song writing with the instrumentation and energy of traditional bluegrass music. They are heading of the gap that separates traditional bluegrass music from the Australian alternative music scene. Mustered Courage performed at this year’s Redland Festival and were an instant hit. Their youthful brashness coupled with outstanding musical ability saw them leave their mark in south-east Queensland. This band will be a regular feature in Australian festival scene and no doubt will enjoy some international success should they so choose. Also featuring on the Dorrigo program is The Company, a Brisbane-based bluegrass band with a passion for high-energy acoustic music. From blindingly fast finger-picking to soulful songs with four-part harmony singing, this band leaves do doubt about their musical skills. They’ve appeared at a variety of major festivals in Australia and the UK and feature two Australian Bluegrass champions on guitar, fiddle and banjo, finalists in mandolin not to mention several awards to their names from major music festivals in Australia. The Company includes George Jackson on fiddle and banjo, Michael Patrick on mandolin and fiddle, Markus Karlsen on Bass and Jamie Clarke on guitar. Guitarist and songwriter Innes Campbell is also on the bill. His quirky, satirical, introspective songs and award-winning virtuoso flatpicked guitar playing have featured on two critically acclaimed CDs, and he has been delighting crowds on two continents for the last three years. Innes also plays mandolin and Dobro. Stylistically his music is hard to pin down – think roots and bluegrass mixed with pop and electronica with blues and folk and you’re getting closer….but with heroes as disparate as Bill Monroe, the Strokes, Radiohead and the Aphex Twin what comes out is something altogether different; engaging, musical and fun. There is a wealth of talent heading to Dorrigo for the 26th to 28th October. You can see the full lineup on the Dorrigo Website. There is a great weekend of bluegrass music planned for the Queen Street Mall in Brisbane next month. From Friday 6th to Sunday 8th July the Queen Street Mall will come alive with bluegrass music courtesy of a number of local acts. QSM Live showcases Brisbane best emerging artists at Milano Cafe and the Visitor Information Centre (VIC Stage). It’s all free for you to enjoy as you explore the vibrant shopping and leisure precinct that is the Queen St Mall. The bluegrass weekend will feature a host of Brisbane’s finest musicians. From acoustic solo artists such as Innes Campbell to the ever popular Redlands Bluegrass Boys and Groundspeed. There is a wealth of talent on show in the first weekend in July. Head to the Queen St Mall on weekend of 6 – 8 July and enjoy the Brisbane’s best bluegrass. There are many visitors who return to Dorrigo every year for this Festival because of the great atmosphere, and the opportunity to jam with fantastic and sometimes famous musicians under a shady tree or round the campfire. Along with this huge cast of entertainers, there is a full workshop programme covering a wide range of techniques and instruments, catering for those just starting out on their musical journey, as well as the more seasoned performers. The Bushwackersare Australia’s best known, best-loved bush band. Currently celebrating 40 years of music excellence, 75 band members, 20 studio albums, 4 books, countless tours, awards and enough stories to fill a dozen books. The Bushwackers will be working hard to bring a rollicking good time to this year’s Festival. Don’t miss them on Friday night when they open the Festival with the Grand Bush Dance or any of their other performances. Bluegrass Parkway is definitely one of Australia’s finest Bluegrass line-ups. Performing around a single microphone, they have wowed Festival audiences across Australia and the USA with their authentic Bluegrass presentation, this year celebrating their 23rd Anniversary. Bluegrass Parkway will be running a Bluegrass Harmony Workshop during the Festival among other workshops. Top-class Bluegrass with a twist. 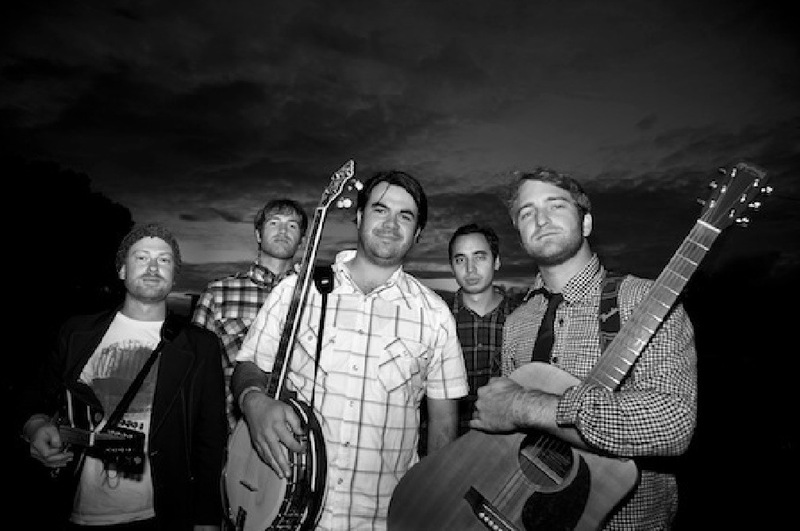 Coolgrass make musical mischief with Bluegrass…no sacred cows for these boys! In addition to their own tongue in cheek songs, Coolgrass and their audience have fun with Mozart, The Beatles, Queen and more in a show that is both musical and visually zany. They take the classic Bluegrass line-up of banjo, guitar, mandolin and double bass then break the rules. Festival favourites in Australia and New Zealand. Unique singer, songwriter and multi-instrumentalist Ami Williamson is returning to Dorrigo by popular demand with her memorable and amazingly entertaining “One Woman Show” and a new album “Close to Home”. Ami has worked in many of the top venues and Festivals in Australia and abroad and has shared the stage with many International artists such as Kristina Olsen, Hans Tressink, Joan Carden, John Butler, The Angels, The Whitlams, Eric Bogle, Beccy Cole, Angry Anderson to name a few. Hunter and Suzy Owens‘ original repertoire draws upon the traditions of American Appalachian music to express their stories. Hunter originally comes from Charlottesville, Virginia, USA although he has resided in Sydney since 1981. Suzy is a Sydney girl through and through. They have been song-writing together for the past 15 years and have recorded three CDs, two studio and one live, though their most recent one, “Heartsongs” was recorded in a live studio setting. Known for their sounds of flute, fiddle, viola, cello and bass, The Barefoot Folk Orchestra play music ranging from Haydn and Mozart through arrangements of South American, Klezmer and folk tunes, to quirky original compositions and jazz classics. Brilliant musicians, the Festival is very privileged to have the group who don’t usually wander too far from home. The Barefoot Folk Orchestra is one not to miss. The Lurkers are Homespun Folk and Bluegrass music with a message. Featuring protest songs with an Old-time Bluegrass twist. With double bass, banjo, guitar and three-part harmonies, it’s acoustic hillbilly punk about environmental evangelism, pirateering and DIY Armageddon. Based in Sydney (Australia), The Lurkers are bringing songs of rebellion to a new generation. You can’t keep a good dog down. Fourteen is a good age for any dog, so when front-line Australian group Spot the Dog turned off the mic for the last time in 2004, music lovers were disappointed although conceded that the band had done its bit. Spot the Dog’s distinctive style of Australian roots music draws on the deep music traditions of country, folk, rock and soul to create a sound that is earthy and sincere, with rich mellow vocal harmonies and mandolin, fiddle, keyboards, bass, guitars and drums. 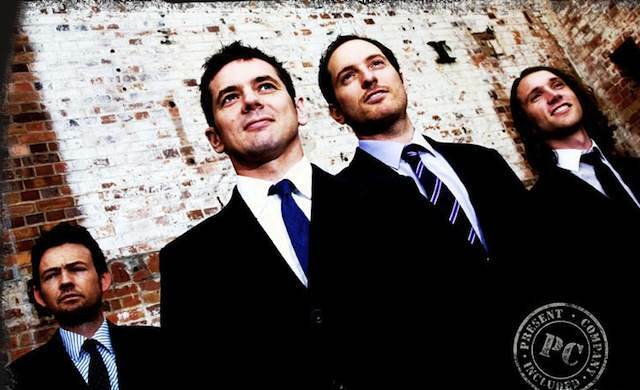 Original acoustic roots music, Innes Campbell and Present Company are four keen musicians, three of whom are Australian Bluegrass champions, with a passion to produce a unique sound. This sound is created with bass fiddle, violin, mandolin, banjo, guitar and four voices which are blended, old style, through the single microphone that the boys dance around. Their heroes range from Bill Monroe to The Strokes and from Old Time Bluegrass to Contemporary Acoustic Music. The band were recently chosen to play at the closing concert of the National Folk Festival, Canberra which is a massive reflection of their brilliance. Having recently released their new CD, Present Company are currently touring Scotland for the first time. Dear Orphans’ music embraces the simplicity of life while connecting with the bare the bones of the human condition. The band comprises singer-songwriters Nick Payne and Lyn Taylor, along with Mike Kirkley on pedal steel, “a big influence on our sound” according to Nick. Dear Orphans are also sometimes accompanied by clawhammer banjoist, Richard Galluzzi. With a unique blend of Original and Traditional bluegrass and roots music, Fat Wombat create a driving sound with strong harmonies and instrumentation. Featuring Mick Moffitt, Jenny Shimmin, Cate McCarthy and Jon Wilby, between them they have decades of experience playing at festivals all over Australia. Blending their talents to create exciting music from the Appalachian Mountain traditions, mixed with a more contemporary theme. Melbourne bluegrass stalwart Pete Fidler has joined forces with NSW expats Dan Watkins and Kat Mear for a trio like no other: Dobro, guitar and fiddle. 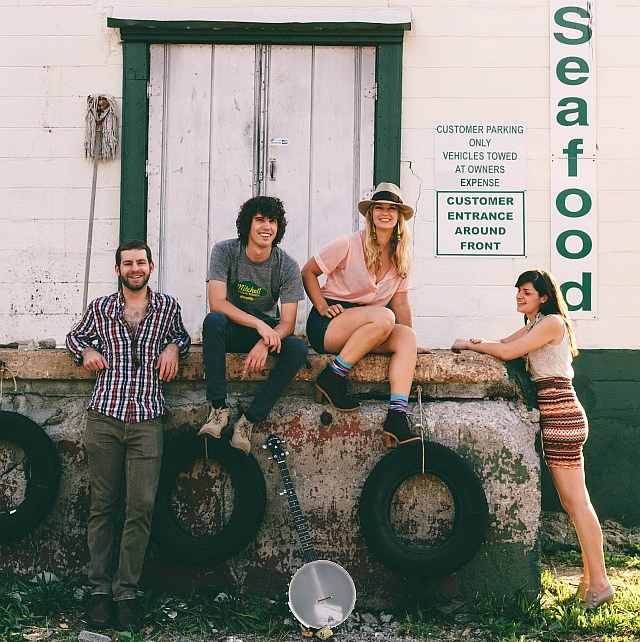 With a folk-grass ethic, precocious picking and sweet harmonies to boot, you’ll get a big kick out of the Big Bugs. Brought up busking til the wee hours on the rowdy streets of Brisbane and the Gold Coast as children, the Perch Creek Family Jug Band learned to use their voices and multi-instrumental talents to pull a crowd and keep them there. Now nearly grown up, they have fine tuned their 5 part harmonies and unique style for their original and traditional repertoire that roves from bluegrass, old-time jazz, and country blues to whatever else they happen to fancy. Ewan MacKenzie & Oliver Steffen play Jazz Manouche guitar in the style of the French Gypsy guitarist Django Reinhardt. Ewan has performed around the country as well as abroard, regarded as one of Australia’s premier Django stylists. Their music ranges from Django compositions to Jazz standards, to their own original material. If Paul Simon and Joni Mitchell had a love child, she would have sounded like Susanna Carman. Her live performance hints at a bit of Fleetwood Mac via Dixie Chicks skip, mixing lilting acoustic guitar, violin and smooth, soothing vocals with a gift for storytelling that slides into your affections. Susanna is currently in the US performing a series of shows promoting the release of her second album, Circus Girl. This year at the festival, Susanna is looking forward to participating in the festival and at the Youth Tent. 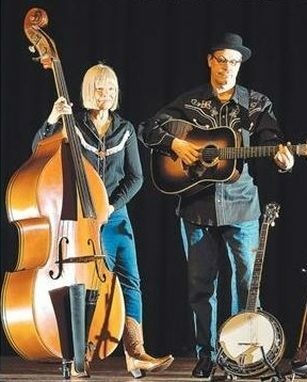 Rod and Judy Jones have had the My-T-Fine String Band in various incarnations for almost 30 years, playing bluegrass and traditional country music. 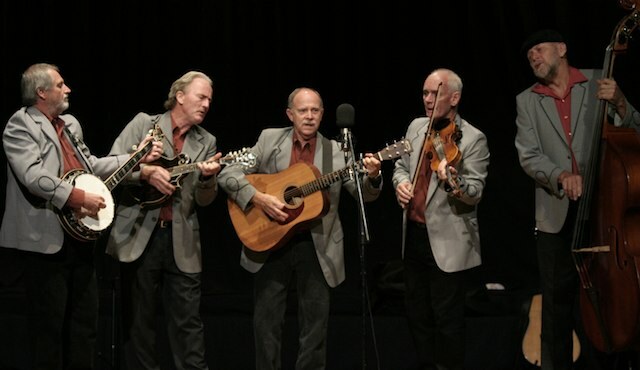 They have played at numerous dances and concerts at the Bluegrass & Traditional Country Music Society in Sydney. My-T-Fine have been regular performers at the Jackson’s Mill Jubilee Festival in Weston, West Virginia since 1986, and have appeared on the ABC, The USA “Today” Show. Also in a special on the Galax Old Time Fiddler’s Convention, West Virginia Public Radio, Judy won the Galax Old Time Fiddler’s Convention Clawhammer Banjo Championship. They will be sure to get your toes tapping and your feet dancing. Gary Brown is a legend on the Dobro guitar and a subtle accompanist in many a line-up from Tamworth and Harrietteville to Nashville and Austin, Texas; and he’s toured with many overseas artists both in Australia and abroad. At the Dorrigo Festival Gary Brown will be playing with Hunter and Suzy Owens and adding his tasty Dobro tones to the mix. Gary will also be conducting beginner and advanced workshops in Dobro and slide guitar techniques. With his rich and powerful voice, Evan Mathieson accompanies his easy listening finger picking style on either the autoharp or guitar. He believes there are two sorts of music…good or bad…so he performs a diverse selection of great songs in many different styles. Having had a 40 year love affair with the autoharp both as a skilled hand builder of the instrument, as well as a talented and enthusiastic player, Evan especially excels in good-fun, fast pickin’ jam sessions!. Chloe Hall & Silas Palmer met at Wintermoon Festival, a favourite of many Australian musicians, in Queensland’s North. During a festival jam, they started a musical conversation that continued into the night, and kept going after the festival tents had been taken down. After months of exchanging ideas long distance, Silas flew to meet Chloe in Europe, where they played their first official show together in Paris. Since then, they have continued to capture the space and beauty of that first performance – two voices blending, guitar and fiddle intertwining, melodies soaring above – bringing the stories in Chloe’s songs to life. Recently named Young Instrumentalist of the Year at the National Folk Festival held in Canberra 2011, Stephen O’Hern is one of Australia’s leading virtuoso guitarists at just 18 years of age. Following from 12 years of classical training, Stephen has mastered a variety of styles such as percussive finger style, Celtic and flat/hybrid picking to name a few. If you like catchy tunes with acoustic guitar, mandolin, fiddle, banjo and harmonica, you’ll love Balyana. Balyana features Rob and Jackie Saunders on guitar, mandolin and fiddle plus Tim (Seagrass) Saunders on banjo. The Saunders brothers live at opposite ends of the East Coast but whenever they get together, their 30 years of jamming from Cygnet to Townsville shines through. Balyana means home. The name originates from North Queensland where Rob and Jackie spent much of their younger years. The band draws inspiration from artists such as Paul Kelly, Neil Young, Slim Dusty and songs about the simple things in life, rural towns, the ocean and open spaces. Serenation is an acoustic folk duo from Tasmania comprised of violinist Jhana Allan and piano-accordion player David Elliston. Jhana was the violinist in Turkish-Macedonian folk band from Armidale ‘Turkish Delight’ and is now studying classical violin and honing her talent at the conservatorium of music in Hobart. David is self taught on the piano-accordion and is often seen busking along Salamanca place in Hobart as well as on stage with a myriad of other artists. Serenation play a broad arc of tunes and original compositions inspired from klesmer, tango, jazz, Balkan, Celtic and bluegrass traditions. Sitting somewhere between folk, alternate country and a little bit of blues, Kelly Stoner is a contemporary storyteller. Inspired by the history of oral story telling through music, Kelly has spent many years shaping her songs into the form of moving poetry, each word and melody carefully crafted to tell a story. She recorded her debut EP with Australian icon Bill Chambers then went on to play a host of shows with the Lost Dogs as well as the Chambers family band. Shiny Top Strings are Richard Galluzzi and Maurie Llambias, two bald fellers playing old-time songs & tunes in the spirit of traditional fiddle and banjo duos. With Maurie on fiddle and Richard on clawhammer banjo as well as vocals, Shiny Top Strings have been playing their unique take on Folk and Bluegrass music regularly at Clubs and Festivals throughout Australia. Stars of Thursday are an acoustic, slightly alternative, original music three piece band providing a refreshing new sound. Combining creative acoustic guitar parts with intricate drum rhythms on a djembe (traditional African drum) supported by funky bass lines covered in creative melodies and inventive lyrics. Two brothers, Tim Orchard and Jon Orchard along with Chris Richter have been working together to create the Stars of Thursday sound. A rich, energetic and quite unique taste of original music that appeals to a v very wide age group. With a passion for Bluegrass, the Slickville Pickers spend many hours jamming amongst train sets, motorbikes, kids & dogs.Playing a mix of traditional, contemporary and original songs, featuring strong harmonies and many instrumentals. Starting out as a jam in the back shed – this engaging music has developed a life of it’s own that’s seen us performing at festivals, country shows, pubs, cafés & parties. With a patchwork quilt of influences, spanning Celtic, Klezmer, reggae and folk styles, Fabric weaves a rich tapestry of vibrant sound. The lyrical talents of songwriter and lead vocalist Gull Herzberg are couched with angelic vocal harmonies, artful electric bass (Peter Gulliver), rocking guitars (Vince Jensen), soaring flutes (Jane Mosco), haunting cello (Jane Farrah) and dynamic percussion (Adam Kornhauser). Converging in the Bellingen Valley, the threads of Fabric have enjoyed their creative collaboration since 2005. Scott Collins and the Mid-North are a new Bluegrass and Americana band that have just hit the festival scene. They play all original music including ‘Where I found my home’ as featured on World Wide Bluegrass radio, crowd favourite ‘Rosewood’ and the rip-roaring ‘Sunshining’. They are a breath of fresh air and will excite and impress you. An acoustic duo from the Central Coast, Frank and Marilyn Russell sing a range of Folk, Old Time Country and Hillbilly songs with some original material mixed in. Frank plays guitar, harmonica and double bass whilst Marilyn plays mandolin, fiddle and percussion. Frank and Marilyn are among the founding members of the Troubadour Folk Club on the Central Coast, which has been running since 1998. Both Frank and Marilyn are still on the managing committee of the Troubadour. Russ Redford plays harmonica and sings…almost at the same time. Playing and singing for some 40 years, Russ Redford’s repertoire is a mixture of blues, a little traditional as well as Gospel. Russ will be leading a Harmonica Workshop at the Dorrigo Folk & Bluegrass Festival. Rob Imeson & The Family Tree. Any man who takes his whole family on a road trip around Australia is going to end up with some fine songs to sing at the end of it. Already on the radar of the John Butler Seed and Triple J, Rob Imeson has his guitars packed for Dorrigo, as well as wife Amy, her father Paul, kids Joel, Molly, and Charlie and an assortment of acoustic guitars, flutes, harmonicas, tin whistles, ukuleles and some great harmonies. On Innes Campbell’s first album he took limited license with the genre of bluegrass music, moving tastefully through a range of musical styles. With this album, Innes has cut loose and taken the liberty to display what he does best. He plays guitar and writes in an eclectic mix of of music styles while maintaining some adherence to the structure and style of bluegrass music. Innes Campbell is a monster. His guitar playing is beyond my ability to describe. His song writing is approaching the esoteric and the band of people he chooses to play with are well versed in his style, structure and musical direction. They are with him wherever he chooses to venture and have also contributed to the creative content of the album. The band members are Markus Karlsen on bass, Michael Patrick on mandolin and viola, George Jackson on fiddle and banjo and Innes Campbell on guitar. The words and music are both light-hearted and complex. The album is a complex juxtaposition of guitar, mandolin, banjo and fiddle, while vocally delivering a variety of meaningful and sometimes satirical messages. There are no liner notes with this album so I found myself needing to talk to Innes to explore his mind in an attempt to interprut some of the lyrics. I am glad did because I was on a completely different planet with my first attempt at a review – almost abducted by aliens as it were. The second track on the album, Lady Mondegreen, is a pearler. This requires some in depth explaination and once explained becomes a very clever piece of writing. The song explores the host of misinterpretations on popular songs sung with sometimes poor diction or difficult to understand lyrics. Some examples include the Bob Dylan’s famous protest song Blowing in The Wind where one could hear the words The ants are my friends, is blowing in the wind. Other phrases in the song include Australians let us all ring Joyce from that well know Australian ballad masquerading as an anthem. The title of the song, Lady Mondegreen stems from a 17th century Scotish poem called The Bonny Earl of O’Moray, in which the last lines read: They have killed The Earl O’Moray and laid him on the green. Thus the misunderstanding creates a partner for the Earl and has her slain in the same moment. The term mondegreen has since become a generic term for a mis-heard song lyric. The third track on the album is Lead Me Away. This is a delightful instrumental with an Old Time, almost Celtic feel, featuring fiddle, guitar and viola and is written by band member George Jackson. You Belong Here, written by Michael Patrick is another well penned lyric, supported by a beautiful melody. This is one of the most beautiful songs on the album with a sweet melody and rich harmonies. There are 5 other tracks on the album, all of with hold musical surprises collared together by this very talented band of Australian based musicians. I commend this album to you and urge you buy it to support our local artists, not because they are local but because this is a great piece of work. Dorrigo 22nd to 24th October 2010. 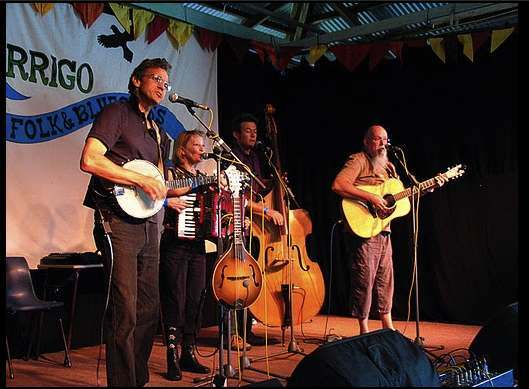 The Dorrigo Folk & Bluegrass Festival really kicks off at on Friday 22nd Oct., at 6:00pm with and Old Time Square Dance led by The My-T Fine String Band in the showgrounds’ main pavilion. There’s fun for all the family, all dances are called so you and your feet know exactly what you’re doing. Then comes some of the festival’s headliners with Stiff Gins, Miles To Go Trio & Bluestone Junction. The Luncheon Pavillion also opens at 6:00pm on Friday evening with The Junes performing their country swing. Workshops are held during the day on Saturday and Sunday. These will include a wide range of music making with some wonderful musicians sharing their knowledge and enthusiasm. There are workshops and entertainment catering especially for children as well. Festival Choir will be led by Mundy-Turner, your chance to become part of the festival choir, rehearsals on Saturday & Sunday mornings with a Sunday performance on stage in the afternoon. Everybody is welcome. Early Bird Tickets (available until October 1st) are only $65. A Whole Weekend Pass is $75. Youth Pass (for primary & secondary school students) is only $20 which includes all activities and workshops. 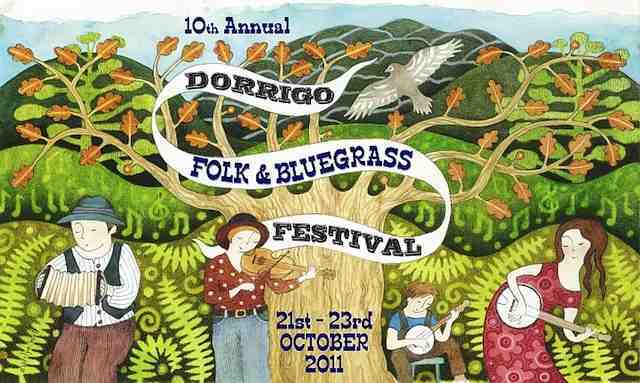 The Dorrigo Folk & Bluegrass Festival is an alcohol and smoke free event. No dogs are allowed onto the festival site. 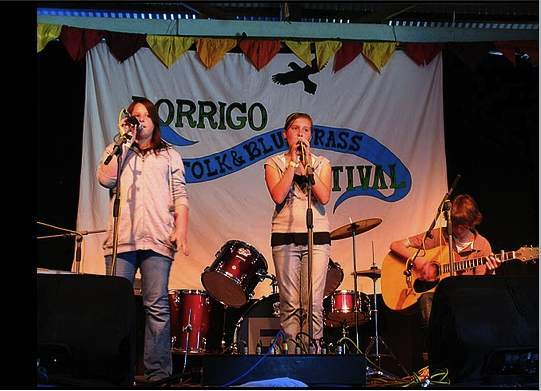 Festival organisers have advised us that planning is well underway for the 9th Annual Dorrigo Folk & Bluegrass Festival, celebrating the wonderful traditions of bluegrass and folk music. This year’s Festival will take place across the weekend of Friday 22nd to Sunday 24th October. This is a wonderful time to visit this picturesque mountain town which is the gateway to the Gondwana World Heritage rainforest area. The Dorrigo Folk & Bluegrass Festival is a small, relaxed and friendly festival with something for all members of the family. The Festival is held at the Dorrigo Showgrounds which features loads of space and shady trees plus the added advantage of camping which is readily available adjacent to the Festival site. This means you can see the Festival across the whole 3 days. The Dorrigo Showgrounds have 2 Pavilions – the Main Pavilion where concert performances are staged and the Luncheon Pavilion – where you can sit, relax and enjoy some delicious food, lots of music. Some of this year’s artists include; The Junes, Kristy Cox & Band, the Ewan MacKenzie Duo, Mothers Of Intention, Innes Campbell & Present Company as well as the fabulous Josh Bennett & Parvyn Singh. Early Bird Tickets – $65.00 – available until 1st October. Whole Weekend Pass is $75.00.